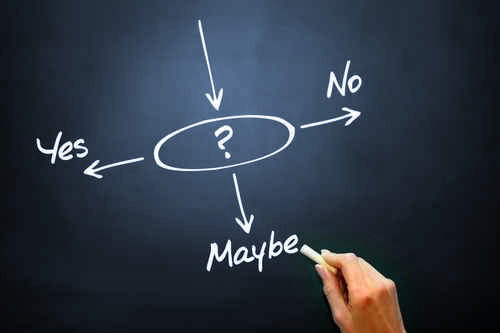 Should you sell your business? The decision to sell your business shouldn’t be taken lightly. You may have other options, including riding out a poor economic climate or hiring a consultant to tweak your business operations. However, if you’re facing one or more of the following issues, it’s time to start thinking about an exit strategy. Has your company outgrown your managerial skills? Entrepreneurs often start businesses for financial independence, but find themselves unprepared when profits exceed expectations. When running the day-to-day operations of your business seem like a chore, and you are unable to give it the attention it needs, you can either sell the company or hand over the leadership reigns. If you’ve made smart hiring decisions, you’ll find a new CEO among your current managers. Once you pass the torch, you’ll remain as a behind-the-scenes owner. If there’s no one to assume the leadership position, you may be better off selling your business, especially if it’s in internet publishing or another growth industry. It can be hard to keep your personal and business life separate, especially if you are going through a divorce, facing major surgery or dealing with a death in the family. During tough times, you may consider selling your business and using the money to manage your personal crisis. If your employees are able to run the business smoothly during your absence, you may opt to hold on to the business and use the steady income to take care of your life issues instead of selling the business. However, selling a business is often the best choice for older owners close to retirement age or individuals who are burnt out from years at the helm of a company. Few business owners pass up unexpected and lucrative purchase offers from investors. Businesses in trendy industries or popular companies with stellar reputations are always sought after, even if owners aren’t actively seeking buyers. No matter how attached you are to your business, an offer way above your company’s valuation is impossible to ignore. By the way, do you know how much your business is worth? A business broker can offer you a business valuation, usually at no cost. New business or career opportunities abound, and you may find greener grass (and more money) in another field. Most entrepreneurs don’t stop innovating with the first business or idea – they’re always coming up with new and more creative concepts. Serial entrepreneurs maximize profits from one business, sell it, and use the money to fund another project. If you are constantly arguing with your business partner, it may be a good time to sell your share. Enmity between partners detracts from progress and profits. When all efforts to settle your differences have failed, partners may opt to sell their share in the business to a third party or another partner. They may also decide to dissolve the partnership or sell the business and split money received according to the partnership agreement. You started your business with the best of intentions and lots of hard work, and you’ve weathered the recession, changes in your industry and personal problems to keep it going. Unfortunately, certain business ventures continue to under-perform despite your best efforts. There are always entrepreneurs willing to buy struggling businesses, breathe new life into them, and adequately compensate the exiting owner with a decent offer. If you have an under-performing business and want to sell it for the highest price possible, talk to a business broker. Regardless of the reason you’re selling, a skilled business broker https://sellyourbusinessfast.info/ will help you get the maximum sale price for your business. Visit www.1800bizbroker.com or call 1-800-BIZ-BROKER to learn more about business brokers and find one in your area. Attract the best buyer for your company with guidance from an experienced business broker by calling 1-800-BIZ-BROKER today.